When it comes to buying and selling homes, many people believe it’s an endeavor they can do on their own. This is true, you can buy or sell a home on your own, but the truth is that it’s a lot of work. Unless you are an expert in real estate, you’re bound to get overwhelmed with all of the processes and how to go about buying and selling homes without getting swindled. At Twin City Real Estate Services, we aim to get you to your dream home at your dream price. We provide personalized searches and individualized attention because we believe you matter. 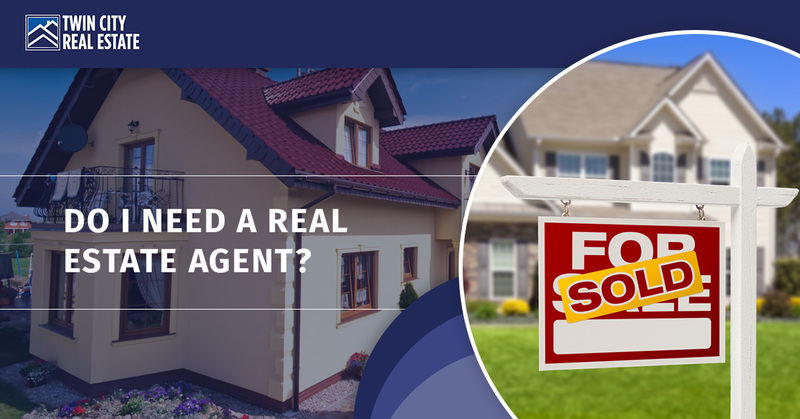 In this blog, we’ll discuss the reasons why a real estate agent is a beneficial investment, and how you know when to pursue the help of an agent. The truth is, as a seller, you can find your own buyer. An agent, however can get you more on your bottom line. According to The Balance, real estate agents increase the bottom line for sellers by almost 22 percent. However, this depends on the real estate market. 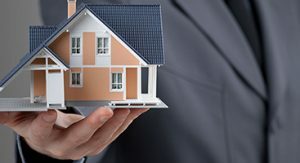 A real estate agency covers: extensive experience selling homes (and therefore knowing how to be successful), selling a home in a legal way, extracting more money from buyers, getting through the home inspection, and ultimately ensuring that you close. In a buyer’s market, there are few buyers. This means that real estate agents’ services are that much more valuable. If you don’t hire an agent, your could be losing exposure to 80 percent of the buying population. Real estate agents take care of a lot of the fine details that most of us don’t think about when selling homes. One thing is listing your home on the Multiple Listing Service (MLS). This is a great source for real estate agents searching for properties on behalf of clients, and gives you a greater chance that your home is sold. Agents use this because they know that they have a greater chance for success using this resource, and they are guaranteed to negotiate with another real estate agent rather than an inexperienced buyer. In addition, selling your home on your own is a lot of work. It requires a lot of time and energy because there are a lot of tasks that, normally, the real estate agent would take care of for you. Real estate agents also have a more realistic idea of what your home is worth and are more adept at getting that price. Provide comparable sales from tax rolls. Provide sales data from MLS based on map searches of desired areas. Pull property profiles that show sales history, property data, demographics, and neighborhood services. Get a copy of the home’s historical documents. Run reports on listing agent’s list price to sales price ratios. Calculate annual facts and trends about a particular area. Prepare a strong offer that shows the buyer in the best light to the seller. Review documents for loopholes and obtain disclosures. Make sure everything is legal. Provide a buffer between you and the seller’s agent. These are skills that you can only gain from experience working in the real estate market, and investing in someone who has this expertise and these skills is a worthwhile investment. At Twin City Real Estate Services, we make buying and selling homes a pleasant and exciting experience for our clients, and do the hard work for them. We believe in establishing strong and honest relationships with our clients that we work hard to maintain. In addition we stand with our clients through every step of buying and selling their homes. Trust Twin City Real Estate Services to help you find the home of your dreams today.